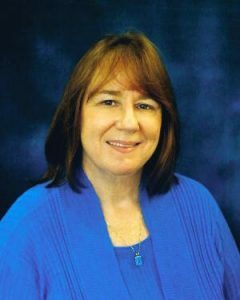 Pat Kendall is the medical group administrator for Kaiser Permanente’s San Rafael Medical Center and has held the position for the past 18 years. She’s been with Kaiser since 1973. In 2008, Ms. Kendall, a registered nurse, received theSan Rafael Chamber of Commerce Ann Weston Community Services Award and the Community Action Marin Award in 2004. She specializes in emergency medicine and holds a bachelor’s degree in businesses administration and a master’s in organizational development and human resources development with an emphasis on leadership and change management. For three decades, Pat Kendall has worked tirelessly to build a healthier Marin. Pat steps courageously beyond networking; modeling leadership and volunteerism, linking .individuals, agencies, leaders and policy-makers; creating sustainable community change. She champions a spirit of working together across all physical, geographic and organizational boundaries – to create a community that lives healthier, committed to one another. Pat, individually and through her leadership, is everywhere all of the time – giving 150% to assure individual and community needs are met. Her eyes and ears are always scanning for opportunities to link individuals and efforts for maximum and enduring success. Trained as an emergency room nurse, Pat’s first foray into community leadership began thirty years ago when she helped form Marin’s paramedic program – a service she continues to support as a member of the Emergency Medical Care Committee. Pat has been the driving force behind Healthy Marin Partnership (HMP), a coalition of health, education and philanthropic organizations creating a healthier community by focusing “upstream” on prevention to address the County’s major health issues. Programs and policies incubated by HMP include Marin’s smokefree and social host ordinances, Parent University and Peer Summit, Play Fair Marin, Canal Community Gardens and Children’s Health Initiative. In 2004, Pat stepped forward to champion the cause of raising funds to rebuild San Rafael’s Pickleweed Community Center. A strategy to raise $9 million was launched with Pat serving as co-chair. Just two years later, in the summer of 2006, the community celebrated the opening of the new,-state of the art, Pickleweed Community Center. Through the Marin County School to Career Partnership, Pat helps bring together schools, businesses and organizations, creating opportunities for Marin students to explore meaningful career paths. With inspiration, vision and courage she shapes public/private partnerships assuring schools produce the workforce needed for future North Bay jobs. She has established innovative programs for youth within her own organization. Pat is keenly aware of the special needs of individuals and families who live with developmental disabilities. For many years she served on the board for Lifehouse, an organization providing services for the disabled. Her experiences led her to help found the Marin Autism Collaborative, allowing her to elevate the issue of autism, educating and engaging clinicians and helping create greater community awareness. Pat has welcomed the opportunity to assist in creating a permanent home for the Farmers Market with the establishment of the Agricultural Institute of Marin. As board treasurer and fundraising lead, she enthusiastically brings together the varying interests of farmers, consumers, policymakers and funders to promote healthier food choices, community education and support local agriculture. Pat understands that a healthy and vibrant community also needs a strong local economy. Since 1995, Pat has been a member and past chair of North Bay Leadership Council. In these disconcerting financial times, Pat’s stewardship brings hope to the business community, a testament to her leadership abilities.